This webinar will cover the codes and standards governing maintenance and replacement of actuators on Fire & Smoke Dampers. Review of the NFPA 80 & NFPA 105 requirements on how to properly repair dampers and replace non-operable actuators in order to ensure the safety of the building and its occupants. Discussion to include International Fire Code testing requirements and UL 555 (Fire) and UL 555s (Smoke) regulations on new construction. Learn potential ways to uncover defects in your Life & Safety systems while verifying your practices are up to code. Valves, Valves everywhere. If you work with Building Automation or Smart Building Controls or do HVAC maintenance in buildings you cannot escape control valves. Join Stromquist & Company‘s master trainer Tim Chamblee as he trains control pros on everything they need to know about control valves. If you are interested in attending one of Tim’s classes call Nancy at 800.241.9471 and ask for a schedule. 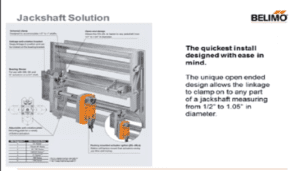 Awesome video and cool new actuator series from Schneider Electric. The SmartX MG 350 is the first NEW SmartX Actuator released globally. It is designed to control two and three-way globe valves in a wide range of applications. The MG350 SmartX Actuator is the platform for the future, acting as the foundation of both a SmartStruxure™ solution and SmartStruxure Lite solution. The critical information delivered by the actuator helps the BMS operate at optimal efficiency. Join Belimo for this 30 minute webinar and learn about steam applications including coil/heat exchangers and the proper technique on how to size a steam valve. In addition, we will demonstrate how easy it is to ensure the correct steam control valve is selected by using the Belimo SelectPro tool. Join Us on Wednesday, May 11 at 1:00 EDT. Click here to register. Our friends at Belimo are in the hunt for five Awards at the 2015 ControlTrends Awards.The Belimo Energy Valve has been nominated in two categories: The Innovative Product of the Year and The Energy Savings Solution of the Year. Belimo, as a company, is a finalist for the 2015 ControlTrends Vendor of the Year and Best Technical Support Large manufacturer. Last, but not least, Lars van der Haegen has been selected, by the global ControlTrends community, as a potential winner of the 2015 ControlTrends Executive of the Year Large Manufacturer. The ever accomadating Lars, endures wind noise (my fault, not his) to share his thoughts on the Energy Valve and his philosophy on what makes a great company with outstanding customer support. Belimo customers will attest to how well Lars and team Belimo deliver on their promise of innovative, quality products and world class support. These actuators are great for new and retrofit HVAC and Industrial valve applications. 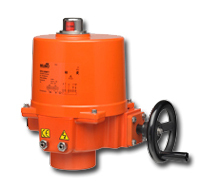 Belimo has excellent retrofit solutions for almost any existing valve type. If you are in GA or FL contact Stromquist at 800-241-9471 for assistance with any of your Belimo needs. If you are outside of GA or FL, visit www.belimo.us to find your area representative.